Don't miss this opportunity to make your voice heard – go to your polling place and vote! 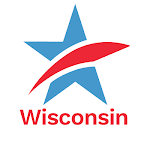 Polling places throughout Wisconsin areopen today from 7:00 AM to 8:00 PM. If you are unsure of the location of your polling place, go to MyVote.WI.gov, select "Regular Voter," enter your name and date of birth, and then click "Where Do I Vote" in the left sidebar. Remember – even if you are already registered to vote – in order for your vote to be counted, you must present one of the forms of photo identification pictured left. If you are registered to vote but do not have, or cannot find one of the required forms of ID for voting, you can cast a "provisional ballot." However, your provisional ballot will only be counted if you either return to the polling place with an acceptable photo ID before the polls close at 8:00 PM today OR you present one of the required forms of photo ID to your municipal clerk by 4:00 PM on Friday, April 8th. If you are not sure where your municipal clerk's office is, visit MyVote.WI.gov, select "Regular Voter," choose "Address Search" in the left sidebar, and then enter your address. Remember, if you have lived at your current address for less than 28 days before the election, you must vote at the polling place for your previous address. What if you're not already registered to vote? You can register at your polling place today when you go to vote. Be sure to bring either the number and expiration date of your current and valid Wisconsin driver license or DOT-issued WI ID card OR (if you have not been issued a WI driver license/WI ID) the last four digits of your social security number. If you've been issued a WI driver license/WI ID card, but it is no longer valid, you should provide BOTH your WI driver license or WI ID number and the last four digits of your social security number. When registering to vote, you must ALSO provide a proof of residence document (this document can be shown electronically). Examples of proof of residence documents can be found here. Common Cause in Wisconsin is once again partnering with the nonpartisan Election Protection coalition, led by the Lawyers’ Committee for Civil Rights Under Law, to provide "guidance, information and help to any American, regardless of who that voter is casting a ballot for." Election Protection’s highly-trained legal volunteers are available to assist voters with any questions or problems, no matter how simple or complex. Voters may call 1-866-OUR-VOTE (1-866-687-8683) toll-free with any questions or issues that may arise. This English language hotline is available today and will be staffed live from 7:00 AM until the polls close at 8:00 PM. Spanish-speaking voters may seek assistance through the 1-888-VE-Y-VOTA (1-888-839-8682) hotline. Please share this information with family and friends, and be sure to cast your ballot! 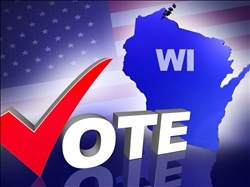 TODAY is Election Day in Wisconsin - Vital Information You Need to Know and ShareTweet this!